Home Learn How to How to manage study during Exams. How to manage study during Exams. How to manage time while studying? ""So i am discussing it""
We all know that study on time is a big problem for all of us. 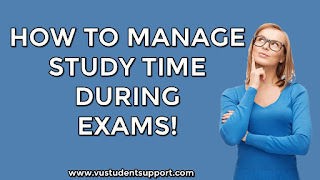 To study exact all material which we need or which is compulsory in EXAMS days is to much headache for us so i am going to discussing some simple STEPS which you guys can easily understand and manage your time and learn your all topics EASILY. STEP 1: take a white paper. STEP 2: open your book or register from which you are going to study. STEP 6: tick mark the topic which you covered and than go to next. STEP 5: in last you will see you have covered your all topics easily with out any shuffling pages seeing here and there.
" I use it myself it's 100% working try it "